‘Tis the season to wrap up warm and protect yourself from the elements. And the same goes for your house, caravan, or motorhome. With a further drop in temperatures expected over the coming weeks and months, as well as stormy weather, it’s worth making sure all your homes are fully protected. 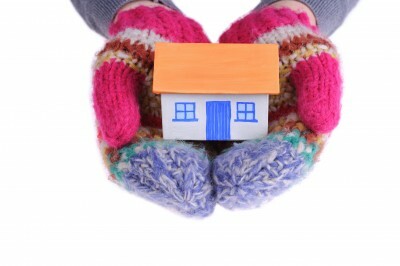 Insulate – Help to keep your house warm by having good loft, wall and cavity insulation. Also protect your water pipes with lagging, especially in the loft space or in unheated rooms. Block out the draughts – Use draught excluders to prevent heat escaping through windows or doors by sealing gaps with tape or using draught excluder. Give the roof and guttering the once over – check for loose tiles, slates and consider removing dead branches from trees, so they don’t end up crashing through a window or roof! Keep the house warm – Use the central heating for short periods of time throughout the day. This time of year always seems to be catch us out with the greater likelihood of the boiler breaking down (when you need it the most), burst pipes or heating or electrical failure. Exclusive to existing Caravan Guard policyholders we offer a home emergency policy to protect your home from a wide range of unexpected emergencies, and you can choose to cover your caravan or motorhome from such emergencies as well under the same policy. We’ll cover boiler breakdown, water, plumbing and drainage emergencies, problems with your electric and gas and even pest infestation. Our home emergency cover is designed to get your home back up and running in the quickest amount of time when emergencies strike. Visit our home emergency page for more details or call us to take cover today. *Benefits of our home emergency policy are subject to terms and conditions, cover level and underwriting criteria. Boiler cover benefits are only applicable to boilers less than 12 years old. A £50 excess applies for all claims. Minimum annual premium to insure your home only is £57.76 for the Gold package and £68.44 for the Platinum package. Minimum annual premium to insure your caravan or motorhome only is £44.83 for the Gold package. Minimum annual premium to insure your home and caravan or motorhome together is £76.75 for the Gold package. Prices correct as of 27/11/2015 but may be subject to change. To request a policy wording please call us.